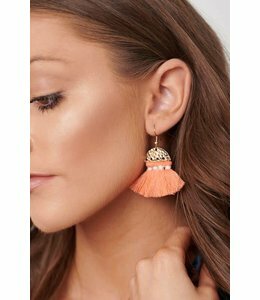 Peachy-pink fringe hangs from hammered gold semicircle earrings. 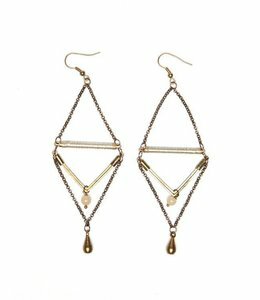 Beaded dangle earrings forming diamond shapes. 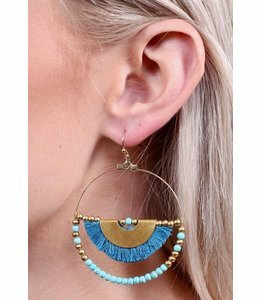 Teardrop-shaped wire earrings lined with golden beads. 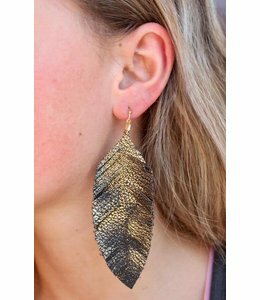 Gold-toned faux leather earrings cut in the shape of feathers. 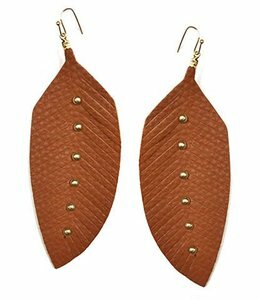 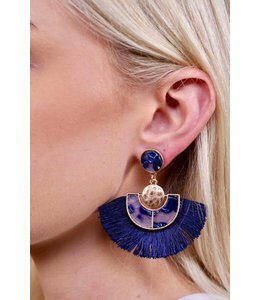 Feather-shaped leather earrings featuring gold-toned studding.